With the amends that the NFL has done to the rules this past year, the one that did not worry anyone at all was the extra-point being pushed back to the 15-yard line. Football kickers would now have to be kicking the ball from around the 33-yard line, adding a certain level of difficulty to the “free point”. Kickers had an accuracy of 99% with the field goals from the previous ball placement, however, that number drops to 91.6% when placed back 33 yards. You may think that the 7.4% difference will make it much harder to score that extra point, you may be surprised that this may not be the case. Although the NFL created this change to make it harder to score the extra point, and have team’s try for a 2-point conversion, it may not work out that way at all. 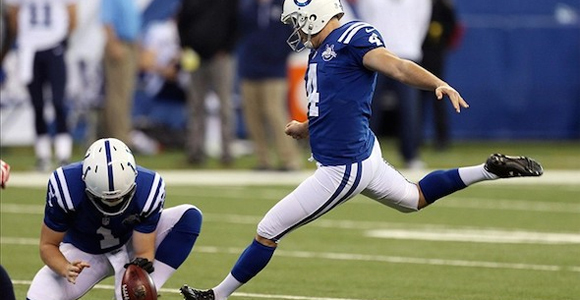 Football players get better as time and experience gains, and that also includes the kickers. It is proven that kickers presently have a greater accuracy than in previous years, which may mean that the extra point may be just as easy to get as before. Team’s may still prefer to make a 33 yard field goal, as it has higher odds of succeeding than trying harder for an extra 2 points. So, this coming season we may still see the same old free kick for the extra point, and the NFL will not get the additional competitiveness that they desire from this rule change. For more details on this, read this.